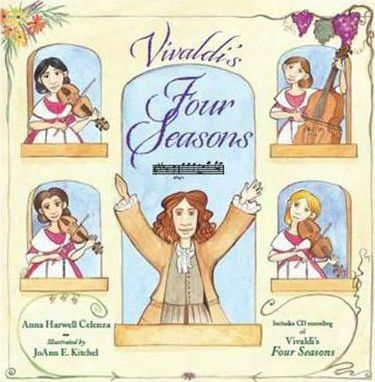 Depicts the story of how Antonio Vivaldi composed and wrote his famous Four Seasons concertos and the accompanying sonnets. Anna Harwell Celenza is a musicologist and the author of several books for adults and children regarding music history and the history of art. Her children s books include THE FAREWELL SYMPHONY, PICTURES AT AN EXHIBITION, GERSHWIN'S RHAPSODY IN BLUE, and VIVALDI'S FOUR SEASONS'. Anna lives in Baltimore, Maryland."